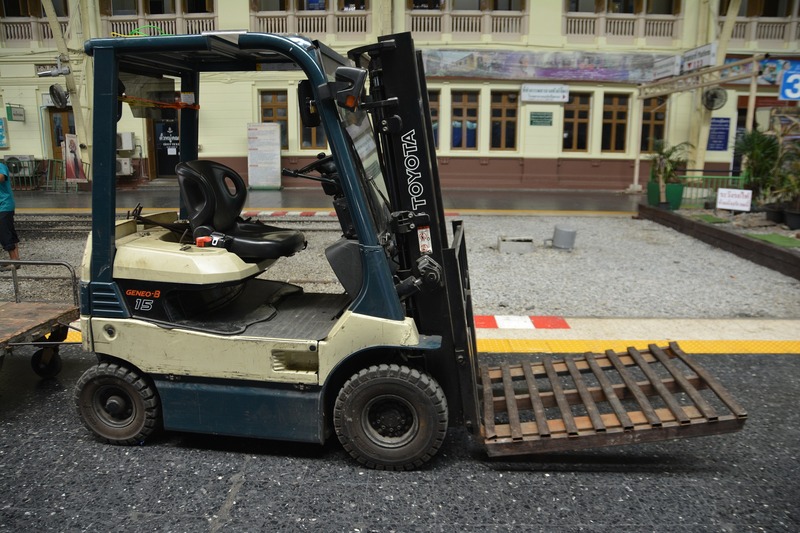 Forklifts are primarily used for material handling, lifting and stacking of loads throughout the facility. These vehicles can be used with variety of attachments such as clamps, grippers and platforms to move and handle different types of material and loads. Expansion of logistics industry and economic growth driven by emerging economies have led to increase in logistics volume and therefore, strengthening the growth of forklift market. Moreover, rising e-commerce businesses have necessitated the larger logistic sites and more proficient logistic operations. At the same time, advancement in information and communication technology has introduced various applications for logistic sites. These factors have provoked the considerable changes in the surrounding environment of logistics. Manufacturers of materials handling equipments are focusing towards the advancement of equipment with high performance owing to growing need of fuel efficiency and green technology based vehicles. At the same time, manufacturers are intensifying investments over research and development of electric warehouse forklifts and fuel efficient forklifts in order to improve fuel efficiency of IC (Internal combustion) engines and to deliver longer working time of forklifts. Implementation of intelligent truck systems enable automation of entire material flow and increase the efficiency of warehouse by providing acceleration in product handling and shipments. Eisenmann’s driverless guided pallet conveyor LogiMover, HELI's LPG IC engines and Ruyi electric vehicles are the few examples of technological advancements in forklifts. Enhanced transportation network between different continents and countries are the major factors driving the growth of global forklift market. Rising global demand for goods coupled with enhanced transportation system led to the amplified stocking of goods in warehouse which are further disseminated through the distributors and wholesalers. Rapid growth of E-commerce business across the globe, especially in developing countries, results in rising container port traffic which boosts the demand for forklifts at ports and airports for goods handling. In 2015, global container port volume reached 700 million TEU (Twenty Foot Equivalent) in which E-commerce shipments accounts for the 63.2% of all shipments, up from revised 61.4% from 2014. Developing countries such as India, China and Mexico showcase upsurge in industrialization and economic growth which augmented the need of advanced warehouse and cargo handling equipments. China accounts for the largest cargo traffic in exports of various goods with more than container port volume of 180 million TEU. Construction industry will persist to increase the demand for forklift trucks. The growing demand for forklifts in construction industry attributes to growing construction sector which is expected to reach USD 10 trillion by 2020 owing to rising number of construction projects in developing countries such as China, India, Mexico and UAE. Forklift industry trends include innovation of intelligent forklifts which is driving the growth of global forklift market. Integration of sensors and smart devices in forklifts helps in the improvement of operational efficiency of forklifts. Additionally, smart lifts are capable of collision detection, improving fork speed optimization that helps in safety of workforce and goods. Global forklift market was accounted for USD 36.2 billion in 2015 owing to expansion of warehouse space globally and growing e-commerce business around the world. In 2015, global sales of forklift trucks surpassed 1.0 million units; sales are anticipated to grow decisively in coming years. The market is projected to reach USD 56.8 billion by 2024. Further, the market is expected to expand at compound annual growth rate of 5.7% over the forecast period i.e. 2016-2024. Geographically, Asia-Pacific region was the largest market for the forklift trucks in 2015 accounted for more than 39% volume share of the global forklift market. Asia-Pacific forklift market continues to dominate the market on the back of increasing number of manufacturing industries and positive growth of e-commerce business. Europe region is estimated to account for the second largest market and anticipated too expand at a CAGR of 3.6% over the forecast period, due to positive outlook of Europe economy and favorable rise in trade of goods. Further, Middle-East and Africa forklift trucks market is also estimated to witness favorable growth in forklift market attribute to growing construction industry and activities of automotive OEMs to setup manufacturing plants. North America forklift trucks market is growing significantly on the back of rising exports and imports of smart devices. Free trade policies of U.S. government with Mexico and Brazil are the two major factors which is rising the import of automobiles from these two countries. These aspects further spur the demand for forklift trucks in the region. Anhui Forklift Group Co. Ltd.
8.2.2. Mitsubishi Nichiyu Forklift Co. Ltd.
8.2.6. Anhui Forklift Group Co. Ltd.